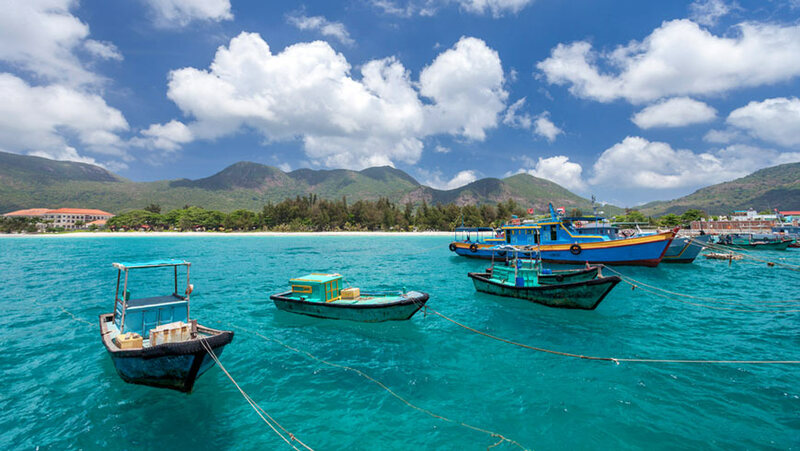 With the support of UN Environment, the Vietnam Institute of Oceanography, and the Global Environment Facility (GEF), fishermen along Vietnam's Ninh Hai coastline are working to ensure the preservation and sustainable use of the area’s marine resources. As dawn breaks across the beach and the first rays of sunlight illuminate the turquoise waters of southern Vietnam’s Ninh Hai coastline, fishermen are already hauling in their nets of shimmering, slithering silver fish. Here, in Nui Chua National Park, the sea is the backbone of the economy and the key source of sustenance for local families, many of whom have been fishermen for generations. Ninh Hai plays host to the richest levels of marine biodiversity of any coastal region in Vietnam, providing a habitat for approximately 310 species of coral, 304 species of reef fish and an endangered species of sea turtle. In this part of the South China Sea, coral reefs benefit from seasonal flows of cool water, a unique feature of these ecosystems that protects them from increasing sea temperatures and makes them hotbeds of biological diversity, vital to the region as breeding grounds that replenish nearby reefs with coral species. Fishing is the lifeblood of thousands of communities along Vietnam’s 3,000 km of coastline. Back in 2010, Nui Chua’s marine resources were under threat from overfishing, illegal fishing practices and the harvesting of seagrass and sea turtle eggs. Siltation from the construction of two nearby fishing ports also played a role in the degradation of this precious habitat. But the tide is turning for this corner of the South China Sea, with the local community, national park authorities and government agencies coming together to create and implement an ecosystem management plan with the support of UN Environment, the Vietnam Institute of Oceanography, and the Global Environment Facility (GEF), ensuring the preservation and sustainable use of the area’s marine resources. Fisherman and conservationist: volunteers like Thang are helping fishing communities strike a balance between conservation and livelihoods. The Demonstration of Sustainable Management of Coral Reef Resources in the Coastal Waters of Ninh Hai District, Ninh Thuan Province, Vietnam project was part of the UN Environment and Global Environment Facility-led South China Sea project, aiming to reduce marine degradation at the intersection of the South China Sea and Gulf of Thailand. For more information on the South China Sea project, contact Isabelle Vanderbeck.